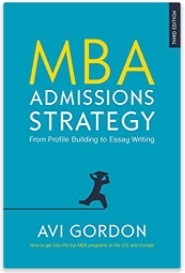 The setback-failure-weakness essay is commonly asked for in MBA Admissions because it is a test of an applicant’s maturity, self-knowledge, honesty, and ability to learn from mistakes. It is, in other words, the biggest indicator of real leadership ability and potential. Tuck-Dartmouth (Essay 3): Describe a circumstance in your life in which you faced adversity, failure, or setback. What actions did you take as a result and what did you learn from this experience? Harvard Business School (Essay 2) Tell us three setbacks you have faced? INSEAD (Essay 3) Describe a situation taken from your personal or professional life where you failed. Discuss what you learned. Judge-Cambridge (essay 2) What did you learn from your most spectacular failure? MBA applicants often struggle with these essays because they feel that admitting a weaknesses or sharing a time when they failed erodes their candidacy. In fact, it does just the opposite. Leaders know their weaknesses, and can admit them to themselves and others — in order to work on them, or work around them. It shows self-insight and points to seniority. No one is comfortable talking about their weak spots and failure. But nobody is perfect or has not failed. 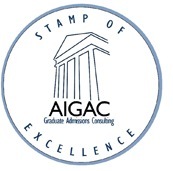 Not Bill Gates, not Richard Branson, not me, nor you, nor the admissions officer. So it is not admitting a weakness is what will get you dinged, because it’s like waving red beacon that betrays inexperience and a junior mindset. If you “have no weaknesses” that just tells Adcom that you don’t know what they are yet or that you’re too immature to face them. It says you don’t know yourself, therefore you don’t yet know where you will mess up. You are a liability to yourself and your company. See, the greatest business leaders all have weaknesses and all have made significant mistakes in their careers and their lives. The point is not to prove that you don’t fail, or won’t fail. It is to prove that you have the insight into yourself to be able to recognize and compensate for your weaknesses. What Adcom wants to know is not how you avoided failure, but how you managed it, what you learned, what insights into yourself you gained, and how you grew from there. They want to see that you have the will and the insight to locate and understand the source of your mess up – the underlying weaknesses that caused it – and that you have the maturity to face and work on the issue. To summarize: the setback essay is not testing to see if you have weaknesses. We all do. It is a test of your self-knowledge and maturity. The committee wants to see if you can candidly face, discuss, and work on your flaws, or if you will you try to hide them or blame circumstances or other people. This is a significant test of your readiness for senior leadership. Soros is candid, straightforward, and objective in his self-analysis. He shares measured self-insight with the reader. He doesn’t try to slip in softening or deflecting phrases, or hide behind humor; nor is he self-excusing or whining and looking to blame others – the hallmarks of a too-junior applicant. It’s important to listen, to really, really pay attention when Adcom talks, because they do tell applicants everything they need to know. Below are extracts from an interview with Deirdre Leopold (57) executive director of MBA admissions and financial aid at Harvard Business School, recently published in the Boston Globe. It’s low on the usual general exhortations, and high on real guideposts for meeting their expectations and beating out other applicants. 1. Guiding selection principle is ‘leaders who will make a difference in the world.’ Now this could be a platitude, but it’s not. They really mean it. It can be any difference, but it must be some difference. If you’re just going to be another banker or another consultant or another PE portfolio manager, or even just another venture capitalist or entrepreneur, that’s not making a difference in the world. You can be any of these things, or something else, but how will you leave a different world behind you? 2. Qualities – Curiosity, initiative, sense of purpose, energy, self-awareness, a real sense of others, an ability to engage in a community, a moral compass, ‘givers’ rather than ‘takers,’ not bystanders but active participants. This is not a full list, but it’s a great starting point for an application platform.